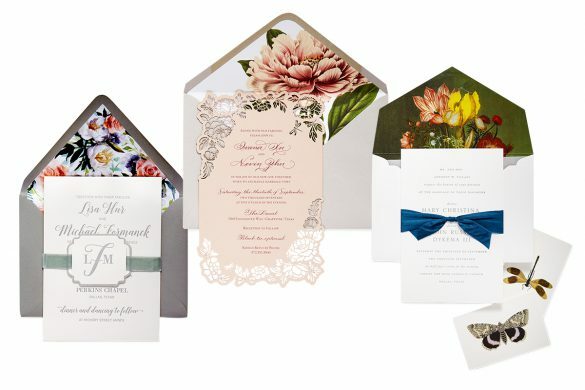 Refined floral by 5 by 7 Designs, Southern Fried Paper, and Color Box Design & Letterpress. 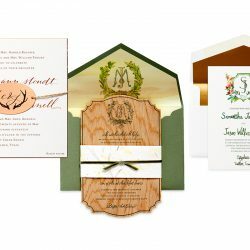 Creative crests by Stamped Paper, Color Box Design & Letterpress, and Paper Affair. 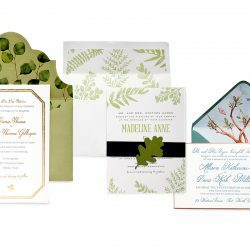 Modern foliage by Color Box Letterpress & Design, Needle In A Haystack, and Southern Fried Paper. 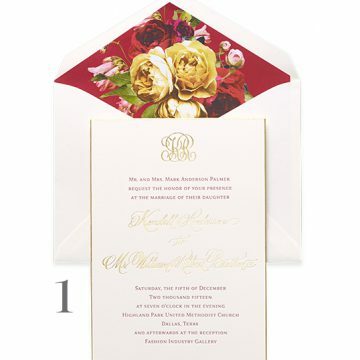 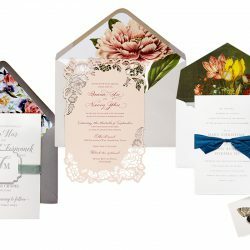 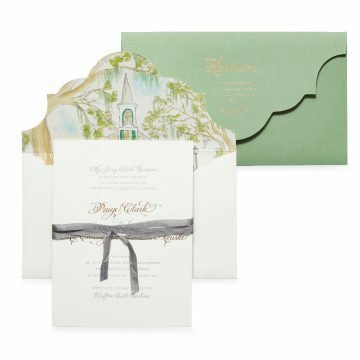 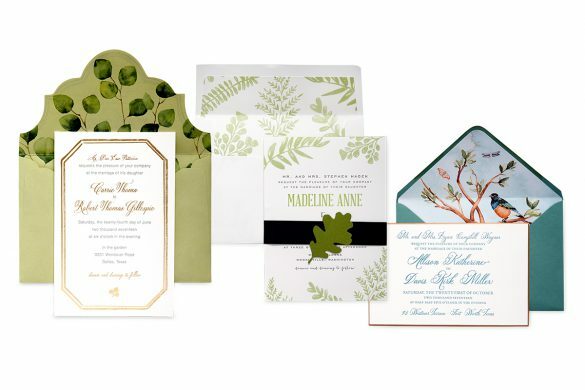 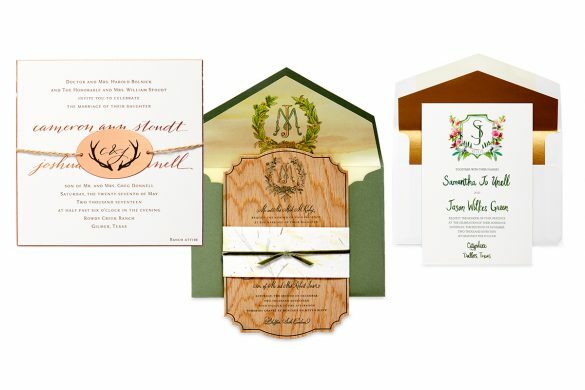 Set a natural tone for your wedding day with invitations inspired by these three trends.